This entry was posted on Sunday, August 13th, 2017 at 7:47 am and is filed under Humor, Society. You can leave a response, or trackback from your own site. I’ve always been against Citi Bike, at least in NYC. To me, it just seemed to be yet another part of Mayor Bloomberg’s hate for- and attack upon drivers. Yet, it wouldn’t have taken that much to change my opinion. This entry was posted on Wednesday, September 14th, 2016 at 7:53 am and is filed under Humor, Society. You can leave a response, or trackback from your own site. So, this year the Muslims’ holiday, Eid al-Adha – Feast of Sacrifice – will occur on September 11th – yes! on 9/11, the 15th anniversary of the Muslims’ devastating terrorist attack upon the World Trade Center. 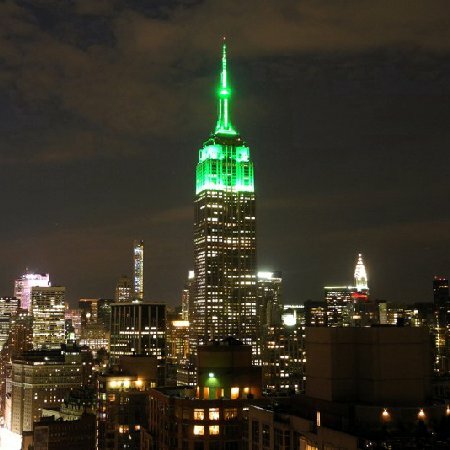 If the owners and managers of the Empire State Building hold true to form, the top of the Empire State Building will be lit “Islam Green” in celebration of this despite the fact that any public celebration of Islam in NYC on 9/11 will be grossly offensive to most residents. NOTE: The title of this post is “Eid al-Fitna” – Feast of Strife – because strife is all that the Muslims have brought to the modern world and all that they seeming willing to ever bring. 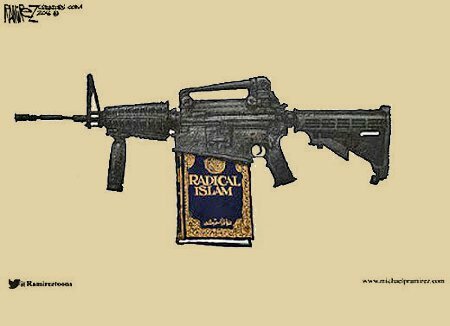 And we can be reasonably assured that the Muslims will throw their celebration in Americans’ faces and that, if the Empire State Building isn’t lit “Islam Green,” they’ll be ready to cry “Islamaphobia” and engage in lawfare (Jihad bi-al-Qalam). The Lamestream Media is already prepping for this by focusing solely on how Muslims supposedly fear “violent backlash” from Americans over celebrating Eid al-Adha publicly this year. But, given that the Muslims’ Eid al-Adha is literally a feast celebrating the willingness of Abraham to sacrifice his son Isaac, as an act of submission to God’s command, it even makes a certain perverse sense that the Muslims would be more than willing to sacrifice New Yorkers’ feelings and sensibilities on the altar if their God. This entry was posted on Friday, September 2nd, 2016 at 11:11 am and is filed under Religion, Society. You can leave a response, or trackback from your own site. People think of a lot of things when you mention Brooklyn. Baking, however, isn’t one of them. Sadly, we’re just not known for our bakeries. This entry was posted on Saturday, March 19th, 2016 at 9:20 am and is filed under NYC Dining, Society. You can leave a response, or trackback from your own site.